The Alfred-Plantagenet council have all come out unanimously in favour of protecting the Jessup’s Falls escarpment. At the town council meeting on October 15th, the mayor stated that he deems it necessary to protect the escarpment from any uses that could have a negative impact. They are working on a “Modification to the designation of the Jessup’s Falls escarpment” to present to the United Counties of Prescott-Russell that would see the Jessup’s Falls escarpment as a protected region. 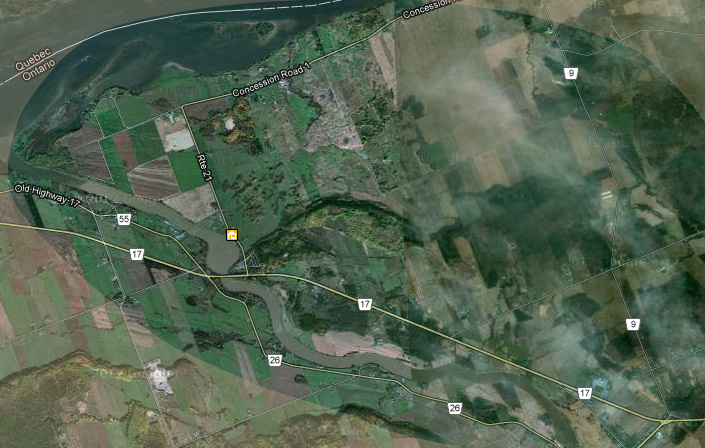 The area proposed for protection would be within the boundaries of County Road 9, the Ottawa River and the Nation River. The details are still to be worked out by the council before submitting to the United Counties. Members of the community will be monitoring the process and ensuring that council has all the information and support they need to complete the process. You too can have your voice heard by writing to your local representatives and the planning department of Prescott-Russell. Sur l’agenda de la réunion municipale de ce lundi se retrouvait “Modification de la désignation de l’escarpement de Jessup’s Falls”. Le maire est d’avis qu’il est nécessaire de protéger l’escarpement contre tout usage qui pourrait lui nuire. Les conseillers ont donc tous voté en faveur d’envoyer une demande aux Comtés Unis pour que la région de l’escarpement deviennent désignée comme un endroit protégé. Des membres de la communauté se demandaient alors quelles étaient les limites territoriales spécifiques de la région à protéger, et se demandaient aussi si le zonage minéral allait être enlevé. Une discussion a alors permis de décider que les limites seraient le chemin de comté 9, la rivière Outaouais et la rivière Nation. Il y a cependant encore quelques détails à travailler avant que la demande soit envoyée aux Comtés-Unis par les conseillers. voted unanimously to send a request to the counties to modify the designation of Jessup’s Falls as a protected region. Members of the community asked for more specifications on the area that they are proposing to protect and also requested that the mineral aggregate zoning that exists on a small area. After much discussion, the area proposed would be within the boundaries of County Road 9, the Ottawa River and the Nation River. The details are still to be worked out by the council before submitting to the United Counties. My parents, grandparents and lots of family still live in Plantagenet. I am even considering building there some time in the future. It is very disheartening to learn of this project. I really wish it does not come to life.